Portable Toilet Blocks have become ever more popular in recent times because they are robust, easily maintained, portable and a cost-effective way of providing amenities or facilities to a location of your choice. They are popping up around the country in various locations like on construction sites, schools, concerts and events or even camping facilities. These Buildings come in various forms and styles for example you can have a singular toilet with washing facilities or for larger concerns you can have a larger toilet block with 3 toilets, a urinal and multiple hand wash basins. The beauty of this is that when the purpose for these buildings is no longer apparent they can be put onto the back of a HIAB lorry and transported to a different location which is a reason that companies are now supplying these for hire. 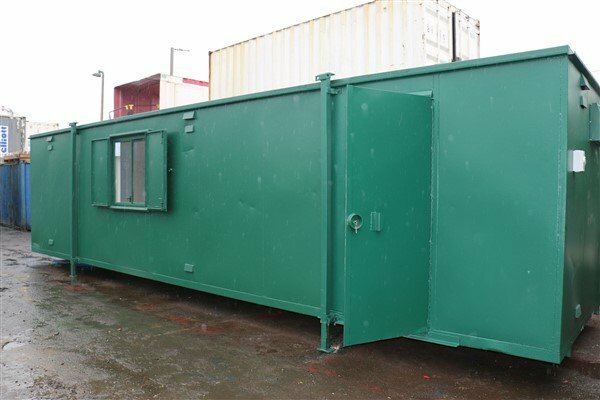 With an emphasis on reusable items becoming more and more prominent in our society these portable buildings are invaluable because rather than building toilet blocks and having them lay dormant when they are not needed any more. We can now re-use them at a different location with these very handy portable solutions. You can go to any Portable Building or Portable Toilet Block company these days in the UK and rent one of these for a few months if that is what’s needed which is a fair site better than buying one for a single use. Companies will generally transport these to you and then when the contract term has finished come along and collect them again from you.